When it comes to maintaining your car, it’s essential that you keep every part of it as clean as possible over time. Typically speaking, most of the components of your vehicle’s engine will collect deposits and filth as you drive, which will adversely affect their performance. One of the most susceptible parts of your engine is the fuel injector. it’s crucial that your injectors are cleaned on a regular basis. However, given the relative complexity of them, most car owners neglect to do it themselves. While you can take your vehicle to the shop and get this done professionally, we highly recommend that you take the time to do it yourself. That's the reason we've spent so much time testing different fuel cleaners. You can see my top recommendations for fuel injector cleaners here, and my favorite diesel injector cleaners here. 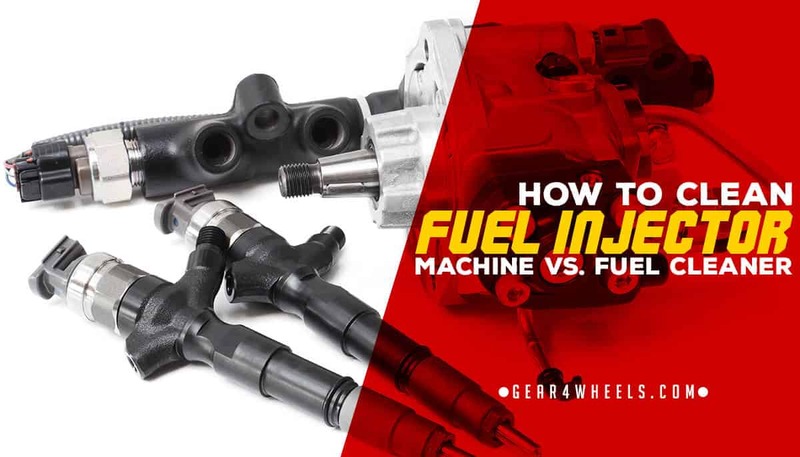 Not only will it save you a lot of money in the long run, but it will help you connect to your car, which will motivate you to take better care of it overall.Today we’re going to discuss the two primary methods of cleaning your fuel injectors. First, you can get a mechanical kit, or you can simply add a cleaning agent to your fuel tank. 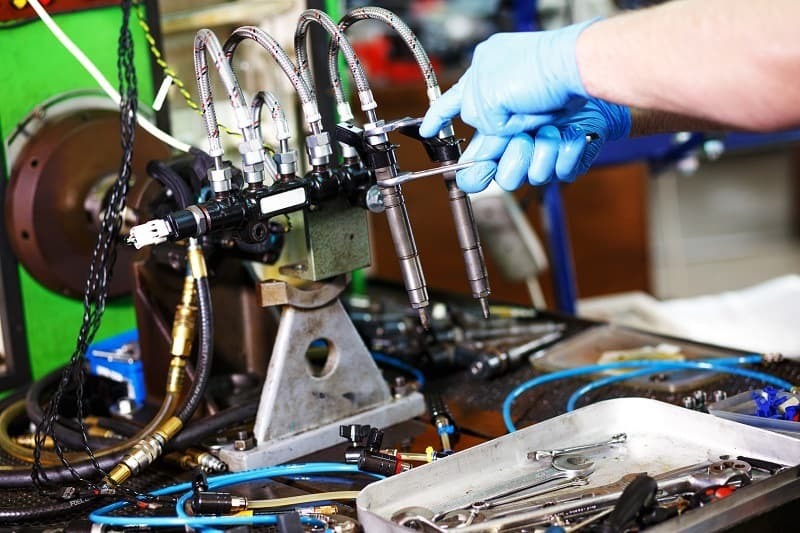 There are advantages to both methods, so let’s take a deep dive and see what you can expect when cleaning your fuel injectors. What Does a Fuel Injector Cleaning Kit Do? Types of Fuel Injection Cleaner. If you’re a beginner to the world of automotive repair, we suggest that you utilize a kit instead of trying to disassemble everything on your own. The reason for this is that there are a lot of different parts and components to keep track of, so putting it all back together can be a bit tricky if you don’t know what you’re doing. Fuel injector cleaning kits are pretty easy to find, but there is one piece of machinery that you have to have first: an air compressor. Without this equipment, you won’t be able to do anything with a kit, meaning that you have to take it into a shop. 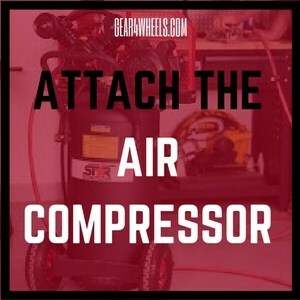 Fortunately, air compressors are also relatively easy to come by, and you don’t need a lot of pressure to make it work. A compact air compressor will do the job just fine. If you’re wondering if it’s worth it, we will remind you that you can also use your compressor to refill your tires, so that’s another reason to get one. There are a lot of different options out there, but the most important thing is that you pick one that is designed for your particular system. As such, you will have to check the owner’s manual for your car as well as the data for the kit itself. One primary distinction between kits is whether your vehicle uses diesel or standard gasoline. The fuel injection system will differ significantly depending on the kind of fuel you use, so many packages will be for one or the other, meaning that they are not compatible with both. Overall, you should pay attention to the year, make, and model of your vehicle as auto manufacturers can have many different requirements regarding how a kit can work. Also, check the specifications on your fuel injector itself to see if there are any restrictions regarding what kind of adapters or hoses you need. Finally, we recommend getting a kit that comes with everything you need to get started. Some models don’t have specific components since they are designed for people who already have some mechanical knowledge and experience. Even if you have a wide range of tools for the job, it’s better to get a kit that has everything so that there is no risk of missing anything. The main reason to use a kit rather than pouring cleaner into your fuel system is that it connects directly to the fuel injector. 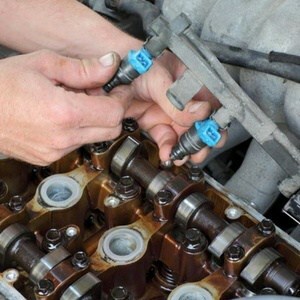 This way, you’re able to do a more thorough cleaning and ensure that your injectors get back to their original status. We’ll get into the particular steps later on, but what you are essentially doing is hooking up the kit to your fuel injector and running cleaning fluid through the system instead of fuel. You have to connect it in a particular way and then turn the car on for it to work, but the results will be much better than if you just used the cleaning solution by itself. If you want to do something to improve your car’s overall performance, but the idea of connecting parts to your engine seems like too much effort, then the best thing to do is just use a cleaner by itself. Rather than using the solution in conjunction with a kit, you can pour the material into your fuel tank, and it will help remove deposits from your injectors and keep them in pristine condition. Also, you can get higher end cleaners that will do more than just clear out the gunk. Some higher-end brands will work through the whole fuel system and make sure that your entire engine runs as smoothly as possible. Like the kits, there are a lot of different brands out there from which to choose, but fortunately, they are not as particular as a kit. Since you don’t have to connect to anything, you are simply picking out a cleaner based on how well it will work on your system. There are three primary ingredients to any decent fuel injector cleaner, so make sure that the one you pick has all three. Polyether Amine (PEA): this is the chemical that will help remove solid deposits from your fuel lines. It is rugged and robust, meaning that it won’t burn off from the high heat of the engine. As it softens and removes deposits, they will be sent out through the exhaust, ensuring that they don’t cause problems down the line. Polyisobutene (PIB): this substance is not as hardy as PEA, but it does a great job of removing water from the fuel line. It mixes with the water to make it combustible so that excess moisture will burn off. If you live in a humid environment, PIB is going to be even more necessary. The primary purpose of these cleaners is to improve your car’s fuel efficiency by removing deposits, cleaning out excess moisture, and removing carbon from the lines. Higher end models will have synthetic additives that help improve fuel efficiency by itself. These additives are vital if you want to get more power out of your car, but they are not there to clean the lines. Now that we understand the purpose of both cleaners and their kits let’s go over the essential steps you have to take to clean your injectors. When using a kit, it’s imperative that you follow the directions as closely as possible. We are going to discuss the process in generic terms, so refer to the instruction manual when you are doing it for real. Before you begin, it’s a good idea to check all of the steps beforehand so that you aren’t trying to figure things out along the way. Also, make sure that you have all of the tools and equipment ready to go before you begin, including your air compressor. If any part of the instructions seems confusing or troublesome, then you may want to look through advanced tutorials or get advice from a professional before you start. This way, you won’t risk damaging anything after you’ve begun. 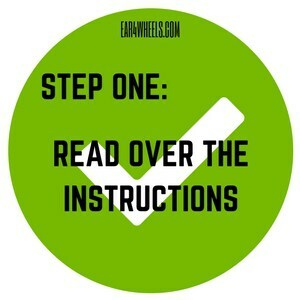 You can look at your car’s user manual to see where the fuel injector connects to the engine. You’ll also want to double check the fittings that are in your kit to ensure that the right one is on before you start. Sometimes, the connection is a threaded fitting that is on the fuel line, and other times it’s attached via a hose. This stage is done before you connect anything. You have to get the engine to normal operating temperature before you can begin. Typically speaking, this is when the needle on the temperature gauge is in the middle. Again, you’ll have to check your owner’s manual to figure out how to do this, but typically it can be accessed on the fuse panel. Also, you may be able to disconnect it at the fuel pump wiring harness, which is near the gas tank. Ideally, the kit you bought will have its own cleaning agent, but you can also buy this separately. Put the solution into the canister and seal it. Make sure that the shut-off valve is closed. You don’t want to spill it all over your engine. Typically speaking, you will have to hang the canister from the top of the open hood. It should have a chain with a hook on it for this purpose. It’s necessary to keep it hanging so that the cleaning solution will go through the system correctly. Attach all of the necessary hoses and connect to the fuel injector directly. If your system does not use a threaded fitting, then you have to relieve the pressure so that fuel won’t spray everywhere when you open the connector. Refer to your owner’s manual to see if there are instructions on how to do this correctly. Before connecting the hose to the regulator (the part with the pressure gauge), open the valve first. This will ensure that you don’t forget to do it, and it will keep everything running smoothly.Once the compressor is attached, you can turn it on. It’s essential that you match the pressure that goes through the fuel injection system normally. This ensures that the cleaning solution will flow the right way. Before you move on to the next step, be sure that you have opened the shut-off valve on the canister. Your kit will indicate how long the car should be running. It’s crucial that you follow these directions, as they are based on the amount of pressure and solution that you have in the canister. If the car is on for too long, it could damage the system. If you cut it off early, you won’t get the results you want. We recommend that you set a timer. Once the cleaning solution has passed through the system, you can shut it down and take everything apart. Make sure that you reattach the connector properly. If everything went smoothly, then your car will be in prime condition for driving. That’s it! Steps for Using Fuel Injection Cleaner. Fortunately, if you decide to go this route, you will be able to add it in one single step. Before you begin, however, it’s important that you check the directions. If you're using Sea Foam (my favorite fuel cleaner) the link above will explain you exactly how to use. Usually, cleaners will indicate how much fuel should be in the tank when you add it. In some cases, you may need the needle to be on empty, or at least half full. For best results, follow the recommendation on the instructions. The next step is to pour it into your gas tank. You can do this the same way you fill up. Make sure that you empty the whole bottle. If you are using a larger container, then we recommend that you measure it into a smaller one so that you don’t accidentally add too much. Once it’s inside, drive normally, and the cleaner will do all the work. It’s just that simple!